The Hall of Fame was created in 1997 to recognize and honor those MDA members who have made significant and lasting contributions to dressage in the United States. Nominations shall be made by the general membership. Nominations will not be limited to riders, trainers and instructors as there are many instances of substantial contributions to dressage by persons who have never competed in the show ring. This award shall not be restricted to those who have retired or passed away. Nominations should be sent to the Board of Directors who after reviewing biographical information and supporting data will make a final decision regarding a new inductee. Violet Hopkins generously established a trust fund for the endowment of the USDF/Hopkins National Seminar for Instructors that eventually evolved into the USDF Dressage Symposiums. Then, as now, these annual events consisted of daily mounted sessions, lectures and discussions conducted by internationally known trainers, judges and competitors. The first USDF/Hopkins National Seminar for Instructors was held at Ms. Hopkins' Tristan Oaks Farm in Union Lake, Michigan featuring Colonel Aage Sommer of Denmark, former cavalry officer and highly-respected international dressage judge. 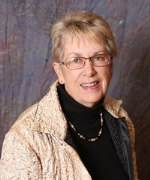 A longtime dressage enthusiast, judge and instructor, Violet Hopkins served the dressage community in many capacities including director of the MDA board, and as a Professional Advisor. In 1995, the $50,000 Violet M. Hopkins Dressage Fund was established in her honor by The Dressage Foundation. The program was developed to enable the USDF, Group Member Organizations, who need financial assistance, to offer clinics or educational seminars. Major Borg's contribution to dressage includes riding in the 1948, 1952 and 1956 Olympic Games and the 1955 Pan American Games. He was one of America's foremost dressage riders and Olympians. For many years at the renowned Red Bob Farm in Oxford, MI he gave numerous clinics, donating the proceeds to the MDA for future education. He supported the dressage community through these clinics and trained many individual riders for competition. Before his tragic accident in 1959, he judged many dressage competitions all over the United States. In 1999 Major Borg was recognized nationally by the American Horse Show Association with the Pegasus Medal of Honor, for his outstanding contribution to the horse industry. Dr. Hilary Clayton has not only made significant and lasting contributions to dressage in the United States but around the world. In 1997, Dr. Clayton became the first incumbent of the Mary Anne McPhail Dressage Chair in the Equine Sports Medicine at Michigan State University. Dr. Clayton's research interests are in the area of equine sport science, especially biomechanics and conditioning of sport horses, and the interaction between rider and horse. Her research uses sophisticated equipment and computer programs to analyze the horse's gaits and movement patterns. She has published six books, scientific manuscripts and magazine articles on these topics. She also travels the world presenting her research at local, national and international meetings and conferences. Dr. Clayton has earned her USDF Bronze, Silver and Gold medals. Anyone who has ever had the opportunity to observe Dr. Clayton interacting with her horses will immediately recognize that she is not only a scientist, equine competitor, but more importantly, a true horseperson. Chuck Grant (1914-1990) began training horses in 1934, when he was stationed with the 122nd Field Artilery of the Army of the United States, Chicago, Illinois. At that time there was no civilian dressage in America. Dressage was only for exhibition purposes. Grant judged the first civilian dressage show held in the United States in 1948, in Morton Grove, Illinois. In 1950, he left Chicago and moved to the Detroit area. His vocation at that time was training hunters and jumpers, while his avocation was dressage. In the course of his career, Chuck trained 17 horses to Grand Prix level in dressage, a feat never accomplished by any other American; all of these horses competed in recognized shows and ten were shown in national dressage trials. Chuck Grant was a member of the American Horse Show Association and a founding member of the United States Dressage Federation and Midwest Dressage Federation. He authored four books and numerous magazine articles. Throughout his life, Chuck Grant stressed the importance of teaching Americans to train American horses in hope of one day fielding an American Dressage team with American horses; however, this to date has not happened since prior to World War II. Therefore, we stress the philosophy of the late Chuck Grant presented in his teachings and pass this approach to those who are willing to learn to train horses. Chuck Grant continued his work up until the time of his death in 1990. He left a rich legacy in the many fine horses he trained, and those who were privileged enough to know him and work with him received an irreplaceable gift from him with the knowledge he shared. Mr. Rowe started training horses as a young boy in Omaha, Nebraska. His family made a living breaking and training wild horses. Mr. Rowe then left horses and joined the Navy and then the Army allowing him to travel to Europe and see other methods of training. In the 1940's Jim worked in Europe, while serving in WWII. Returning to the states his desire to work with horses continued, he taught at a stable in the Detroit area for a short time while working as an insurance investigator. Jim was transferred to Lansing in the mid-1940's when he purchased his first piece of property creating the now well know "Rowe Ranch". During this time in Mr. Rowe's life he met his soon to be wife Sharon. In 1970, Jim and Sharon built a new facility in Okemos, Michigan where they taught dressage riders of all levels and horses of all breeds from Training Level to Grand Prix. Mr. Rowe passed away in August of 2005. A lifelong horsewomen; Carole Grant represented the U. S. at the 1982 World Equestrian Games and won two gold medals at the 1983 Pan-Am Games in Venezuela. Because of the USOC financial grants, Carole trained in Germany for the Olympics. During her competition career she trained and campaigned several horses that qualified and won USDF Horse of the Year awards as well as qualifying, competing and placing at many Olympic Festivals and Can-Am Challenges. Carole is also the recipient of the Whitney Stone Memorial Trophy, which is presented by the United States Equestrian Team for a distinguished international career and for being an ambassador for the sport of Dressage. Carole has been a member of the USET Selection Committee. She has coached riders worldwide including North America, Europe and Asia. She has competed many times at the prestigious dressage at Devon with many wins. One year her students won every FEI class at Devon. Carole has demonstrated her skill at selecting and training horses for the international Grand Prix ring, as well as, with those horses whose character make them suitable for the amateur. Some of the international caliber horses she has trained include Lectron and Valsertock both owned by Mary Anne McPhail. Lectron went on to the 1984 Olympic Games Valsertock went on to do the World Championship Games also with Robert Dover. As and international, Olympic level coach her student, Betsy Sell Rebar with Wonderful with Walden, won the Gold Medal at the Pan-Am Games. Holly Thomas Studley, as a Young Rider, and Martolon competed in many Grand Prix events. Carole also has to her credit being the coach for the youngest rider, Maria Paula Bernal from Columbia ever to compete at the Olympic Games at Soul Korea. From her home base in Fenton, Michigan, Carole currently teaches clinics throughout the country in addition to making frequent trips to Europe to select horses for clients.